Register as steps shown below and get your Cleanse & Restore Kit by March 2019. You need to follow a 30-Day Detox plan (see overview below) March 2019. No extreme dietary modifications that may be detrimental to your overall health. No gulping down heaping spoonfuls of indigestible fiber. You need to have a Facebook Account to join our group. With the Cleanse & Restore Kit, your 30-day detox works to improve the efficiency of your body’s own toxic cleansing mechanisms for sustainable health. To understand the importance of minimising toxic load, we must first define some foundational terms and discuss how our natural detoxification systems work. A “toxin” is any substance that causes excess stress to the body. “Toxic load” refers to the volume of these substances that have been accumulated in the body at any given time and the overall burden it places on the body systems and vital organs. Toxins come from countless sources, many of which we are not even aware of. Environmental threats, chemicals, and radiation are three of the most common categories. Technically, every substance that has a consistent chemical composition is a “chemical,” but in commonly used terms, a chemical is any substance (natural or synthetic) that can stress the body. Examples of chemicals we frequently come in contact with are ingredients in processed foods such as artificial sweeteners and flavor enhancers, automobile exhaust, cigarette smoke, solvents, plastics, pesticides, xenoestrogens, and harsh cleaning products. Radiation refers to high-energy particles that can negatively affect cellular structures and DNA. The most common source of radiation we are exposed to is sunlight. Our bodies are exposed to countless possible toxins every day, many of the interactions being unavoidable, but we can take steps to minimise their effect on our health. Your body has a number of different passageways through which it is directly exposed to toxins and several different mechanisms that it uses to deal with this exposure. The three most vulnerable pathways are the lungs, the digestive tract, and the skin. We are directly exposed to toxins through the food we eat, the air we breathe, and anything that contacts our skin. Our bodies have their own natural defense mechanisms to protect these pathways. For instance, to protect the most susceptible tissue, our nose, mouth, and throats are lined with a thick mucous membrane to trap foreign particles. Similarly, present inside our lungs are special immune cells that destroy any other foreign agents that may get past the mucous membrane. While we have little control over the quality of the air we breathe outside or chemicals we may be unknowingly exposed to, there are measures we can take to minimise exposure and support the natural mechanisms that deal with the toxins. Internally, a healthy body hosts bacteria that assist our inherent defense mechanisms in curtailing toxic load. The digestive tract is populated with trillions of microorganisms that collectively form a natural ecosystem. These microorganisms, commonly referred to as gut microbiota, microflora, or ‘friendly-flora”, play a significant role in overall health. Without a thriving probiotic environment that fosters the growth of these microbiota, less-friendly microbes have free reign to stress the gastrointestinal tract. These microflora serve a number of different purposes. The friendly-flora help maintain digestive efficiency, produce enzymes that break down proteins into usable amino acids, help the body produce and metabolize a number of different vitamins, and are key in the transportation of vitamins and minerals through the intestinal wall and into the bloodstream. Without them, several metabolic processes and neuromuscular functions are hindered, nutrient deficiencies arise, and our immune system’s ability to respond to threats weakens. A Welcome Email with all the info you need and a 30-day detox plan & overview. A FREE eBook about Detoxing & Nutrition by Kelly Preston (Nutritionist). 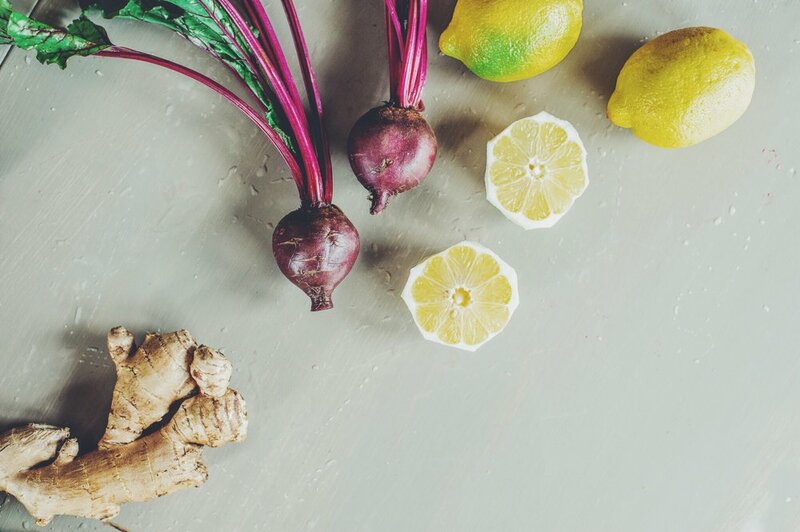 Optional 1:1 call to help you make the most out of your 30-day detox. A countdown month before on our Facebook Page with education about detoxing. Weekly LIVE Q&A and announcement of giveaway winners. Lifetime access to our VIBRANT YOU Wellness Community on Facebook. Exciting reviews and updates about the detox you don't want to miss. Opportunity to join the detox again (March and September) at your disposal. This has all the information you need, an outline of why detoxing is vital and how it fits with your health goals. It takes you through the program step by step, including what you will get and how to register. For registration in Norway follow this link. For any other countries follow the steps below. If you're a previous customer with doTERRA, you have received your own doTERRA account. 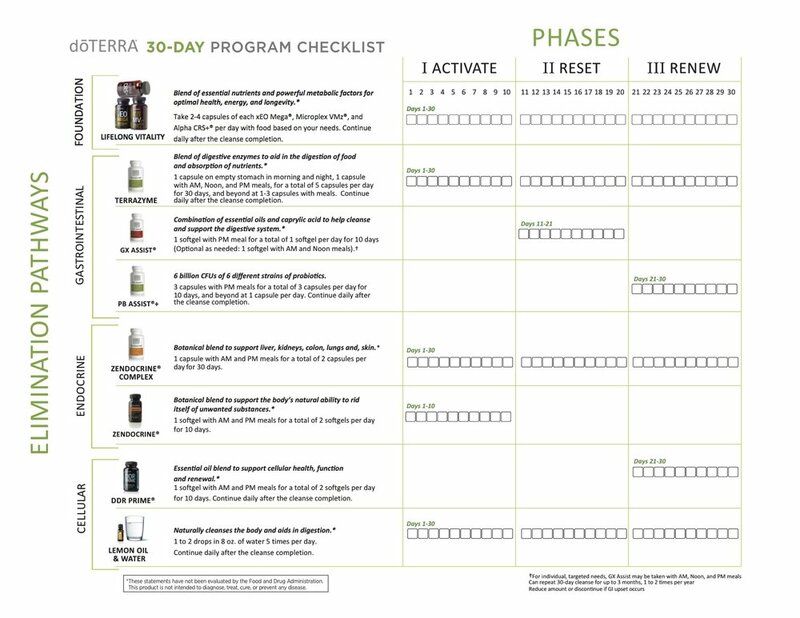 This means you will register for the detox by logging through doterra.com with your given ID and Password to purchase your Cleanse & Restore kit. Click the button below, which opens a new window. Click JOIN & SAVE and 'Join doTERRA'. Choose your region and country. Complete all your personal details. Add the Cleanse & Restore Kit to your cart. Check out with you preferred payment. You will receive an email with a confirmation of your purchase. If you have further questions or would like help registering we'd be happy to assist you. Enzymes help cause biochemical reactions in the body and are crucial in processes like metabolism and detoxification. Fresh, raw foods naturally contain enzymes. However, when food is cooked and processed, these enzymes can be destroyed. Think of enzymes as workers on a factory line. The fewer workers you have, the less productive your line is. Slow downs and back-logs can occur. But the more workers you have, the more efficient and productive your line is. With DigestZen TerraZyme® you will get the enzymes you need to aid in digestion and support your gastrointestinal tract’s overall health. You need antioxidants to fight free radicals. We can get antioxidants naturally from the foods we eat—especially fruits and vegetables. DDR Prime® contains a blend of essential oils that promotes a healthy response to free radicals while supporting healthy cellular function. The digestive system is also home to trillions of bacteria, called microflora. The majority of these bacteria reside in the large intestine. These bacteria assist in digestion, produce essential nutrients, breakdown substances, and participate in immune messaging. To maintain the health of the digestive system, it is crucial that we have enough friendly bacteria. PB Assist®+ Helps to establish healthy microflora colonization, improving long term gut health. PB Assist+ is a blend of both pre-and probiotics. Prebiotics are substances, like fiber, that foster an optimal environment for microbial colonization and activity in the gut. Probiotics are bacteria that live in the gastrointestinal tract and are known to provide health benefits. PB Assist+ employs a unique double-layer capsule that provides prebiotic fiber in the outer capsule and a time-release inner capsule with active probiotic cultures. * This unique system allows the probiotics to be released in the intestines where they will have the maximum benefit. Zendocrine® Complex contains whole-food extracts that provide targeted support for specific organs. It aids with healthy cleansing and the filtering functions of the liver, kidneys, colon, lungs, and skin. Zendocrine Detoxification Blend softgels contain Tangerine, Juniper Berry, Cilantro, Geranium and Rosemary essential oils and are key in supporting natural detoxification. Zendocrine also helps cleanse those organs of harmful free radicals, allowing them to function properly. GX Assist® supports natural detoxification by creating an unfriendly environment for toxins in the digestive tract. * The proprietary essential oil blend helps purify and cleanse the digestive system while the caprylic acid supports overall digestive health and microbial balance. Jenny S: WOW WOW WOW. I started this regime on Tuesday and I cannot even explain to you all. My energy levels are through the roof. Being someone who has worked with Naturopathic grade supplements for decades, I was totally apprehensive when switching to doTERRA supplements. Now I feel a bit silly. I have never experienced such a quick shift. LOVE LOVE LOVE this program! Yvonne T: Today is day 7 of my phase 1 and my 14th shift in a row working a minimum of 12 hour days. I can’t believe it but I feel really good. I’m not exhausted, I haven’t bitten anyone’s head off. I just feel good! I’ve worked these hours before so I know how I’m SUPPOSED to feel but I don’t. I’m pretty dang impressed. Angie L: Not a question buuuut......my hubby is off all meds!!!! And the teenage kids have beautiful glowing skin!!!! Hope you are all having beautiful success with this too!! And thank you for all your love and guidance through this!!!! It has been an absolutely incredible family experience! Monica D: I loved the cleanse and am so grateful for my new supplement habit. Now moving to the next level and working on what I put into my body. Sheryl B: I'm pleased to say I've finally seen the awesome effects of this cleanse. I've listened to my gut and now know what to put in it and what not to. I've also lost at least 5 kg and a quite a few inches. Lillian F: I am so thankful for this group! I did start a bit behind, and will be starting phase 2 tomorrow!I can already sympathise with the rest of you not wanting this cleanse to end! it has given me strength in more areas than I expected (and so quickly), and I am building a beautiful routine ! Thank you thank you to all whom have shared videos, stories, suggestions, asked questions & kept this group flowing! Nancy P: I'm "getting" this, more and more, now. Cleanse has been an intense catalyst for opening my mind & spirit, helped keep up with this amazing healthy body!! Nina N: I have had stomach issues for a few months now. To the point my stomach was hard and distended. Since starting the cleanse my stomach has normaled out, deflating and more comfortable. So thankful for that. Deb R: I have been feeling lots of energy. Only drinking one coffee usually. Not feeling that craving to have a second in the morning. Making more conscious choices in terms of food, and being more mindful of sugar content - have been consistent with supplements. Feeling less stressed in general. Making a point in having more fresh fruit and veggies available to make healthy choices easier. Just starting this last phase as I was a few days behind. Two areas I need to move more towards are even more greens every day and more movement. I am also happy to say I have followed this through for the first time and feel positive about the changes I have made. Feel more confident I can do more! Danielle B: I just did this insta post a few days ago but this is how I'm honouring my body -> "I went for a run today. I think it's been at least 15 years since I've ran. I've moved my body in other enjoyable ways for exercise, but I haven't ran. About a month ago I started getting an inner prompting to start running. So I started working out 20 minutes a day to strengthen my body. It's felt really good to gain strength and then today was the day- I ran. I realised I was afraid of running for so long because of what it used to mean for me. It used to be a time I disconnected even disassociation from my body to distance from emotional pain. I have worked and dug deep to be in a listening loving relationship with my body and I don't ever want anything to change that, not even something that's 'good for you' like running. So today I ran and with every ache and muscle that spoke to me I spoke back thanking it for wanting strength for me. Thanking my thighs for holding me up, my lungs for releasing angst, my ankles for desiring safety and security. I ran 'in' relationship with my body not 'out' of my body. And oh did it feel so good. And when I was done I said to myself 'way to go babe you did it!'. Pouring on the love because- I can do hard things a new way." Analise E: Since starting the cleanse I find that I have no desire whatsoever for breads, sweets or heavy/fried foods. Went to a street market yesterday, food stands galore, didn't even feel tempted! Happily went home and had organic chicken and a big salad. I've never been a big sweets eater, but I did crave salty, fried foods previously. No more! Loving it! Jennifer C: I'm realizing a lot about myself through the process of this cleanse. Mostly, I have learned that I thrive when I am PREPARED for MYSELF (and therefore others as a result, but it starts w me). Just the mere act of separating out my supplements is demonstrating a HUGE amount of self-love, something that I find has been missing. Total eye opener! I realized this as I journaled this morning on my overall thoughts on what this cleanse has provided for me. That realization alone has made every moment of this cleanse worth it (along w the deeper sleep quality (something I haven't had since 2009 as I suffered from insomnia) and the higher energy I have been experiencing!). I will carry this with me as my anchor point in knowing what I need to start with for a high-vibe life whenever I feel the wheels are starting to fall off (but hoping to prevent that now knowing). Kelly L: I'd like to share with everyone how wonderful this cleanse has been for me. I normally get tired easily and have very little energy throughout the day. Today, I played a ball game in the am and then a family trip to the zoo. I dawned on me around 3 pm that I wasn't in the least bit tired and I had a ton of energy!!! My boyfriend even made the comment that it wasn't like me to have this much energy!! Meriah R:Holy glowing! !My skin looks amazing and my nails! Oh my nails are going like crazy and are so strong! Today I have had so much energy that literally came from nowhere! I worked a 10 hour day came home rearranged the bedroom, had a family photo shoot and then went for a bike ride! Now enjoying a tea before I head off to bed. Wendi N: I have so much e n e r g y !!! Lauren M: 2 weeks yesterday and I am feeling AH-MAZING! I was feeling discouraged at first but now I have SOOOO much energy (maybe too much hahah), clear skin (without wearing makeup), greater mental clarity, overall I am more happier and down 5 pounds (a bonus!) this cleanse couldn't have come at a better time in my life. I'm on cloud nine! Mischell P: I need to share just how incredible this cleanse has been so far! First of all, and most important to me, is my energy level. I have chronically low iron (being taken care of finally!) and have low energy and motivation most days. Since being on this cleanse I no longer feel the urge to be 'lazy' but rather feel the urge to get things done and check long overdue items off my list. Secondly, I am not very compliant when it comes to taking my supplements, but save for one day where missed my am dose (which I took lunch instead) I have been working my health habit muscle and it is getting stronger!! Pretty proud of that. Thank you doTERRA for these amazing products and thank you for your guidance! Sandra A: So people have been posting some issues they have been experiencing while doing the cleanse. I thought i would put my positive experience. For the past while i have been trying to loose some weight. Did lose some but got stuck for weeks. Since i started the cleanse i have lost 4 lbs, have so much energy and have quite an addiction to diet pop. No side effects at all. I didn't even have headaches from lack of caffeine. Thats right no caffeine at all. I am looking forward to what the remaining weeks have to bring. Loving it! Jennifer S: I am loving this cleanse! This week I should be totally PMSing and craving chocolate, and I'm not! In fact, my afternoon cravings are not happening. What's also is amazing is that after school today they announced that there was leftover ice cream in the teacher's room and I had no desire to eat it! (And ice cream is my weakness!) So excited! Kris B: I'm starting Day 5 Tribe and I feel so good! My fiancé and I both notice we feel clear.. almost like a clear channel for what we are creating, it's amazing!! My skin is also clearer!! I'm so blessed to be here and on this cleansing journey! Wooop! Jen T: Love this cleanse already!! The biggest difference for me so far is no bloated feeling, I feel the giggly around my belly area is not longer there!! Thanks for leading us on this journey. Katie W: Happy Monday Y'all! How is everyone doing? Feeling? Being on this amazing cleanse? My biggest take away so far is how much CLARITY- I am seeing & feeling! How many new opportunities and synchronicity that is happening in my world! Jamie B: I stepped on the scale this morning and I lost 5 lbs. I have more energy and feeling great. It's only day 5 I can't wait to see what I will feel like after the next 25 days. Lauren M: loving this cleanse! things are definitely getting easier. i am craving different foods - no more sweets and foods that are lower in carbs or low density. it's wonderful how your body adapts over time. Amy J: I'm so proud of myself for taking this step in my health journey. I've learned so much about simple daily habits I can make. I've researched other cleanses and I have to say this is the easiest and most doable one I've seen. Even though weight loss was not my goal I did lose a little weight, but more importantly, I gained better health, mental clarity, energy, deeper sleep and better mood and vitality. I released toxins from my body and improved my gut health. The daily nutrition and liver support is amazing! Karina C: My energy has been so high during the last month. I’ve also noticed my digestion is super efficient and when I do eat those not-so-great foods occasionally I can really feel the negative impact. A great cleanse as always! Heather B: I have a better understanding of the supplements including GX Assist, DDR, Zendocrine and the Probiotics. After this experience I can better explain what each product is used for. I feel so amazing! I have noticeable changes in my skin, hair, feel more balanced emotionally, and my digestion doesn’t feel sluggish. Making better food choices and drinking water feels more natural. I have started a journal to document my journey and have included daily affirmations and an oil of the day. This has been such a gift. I will definitely continue the detox foot bath each week too! Janet A: This cleanse has been great for me, more energy, clearer thinking, more in tune with my body and what it is telling me, increased water intake and loved all the additional information!!! Caroline V: Today’s the last day of the cleanse and here is what I gained, lost and learned. When I give my body lots of water it thanks me, when you feel amazing 30 days seems too short, helping your body shed toxins throught dry brushing and detox baths are next level amazing and I haven’t even started on the education I gained abour proper supplements and how your body NEEDS them! Vera J: After reflecting on the last 30 days, these are the most predominant changes I have experienced during and now after my cleanse is complete. I have superior energy levels as I have never felt before. Any of my bad eating habits and sugar cravings are under control. I have a regular, clear and proper digestive tract. No more drastic mood swings or crashes through-out the day.One of my favourite positive effects of this cleanse is that I have been sleeping better than I ever remember sleeping before. And the icing on the cake is that my face and skin had never been so clear or glowing, I have literally had people ask if I have had work “done” on my face.